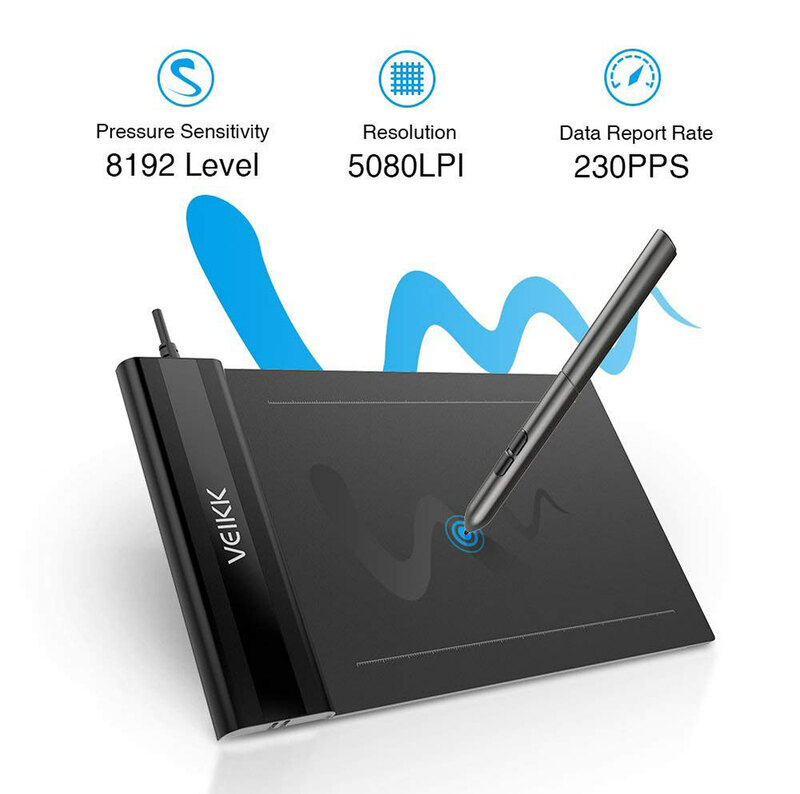 ● Resolution 5080 LPI, report rate 230 pps. 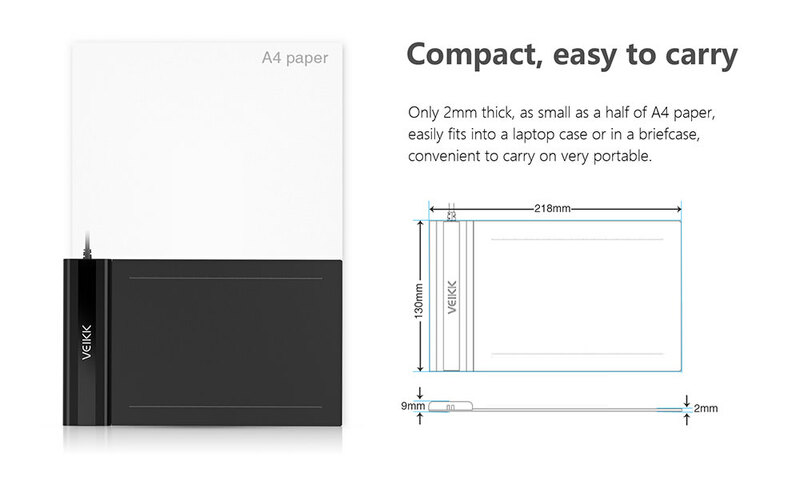 Small and compact, easy to balance on your lap. 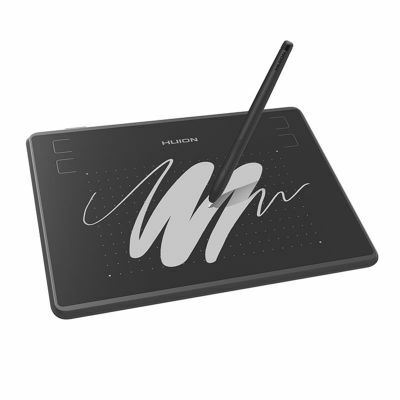 Can be used for both left and right handeds. 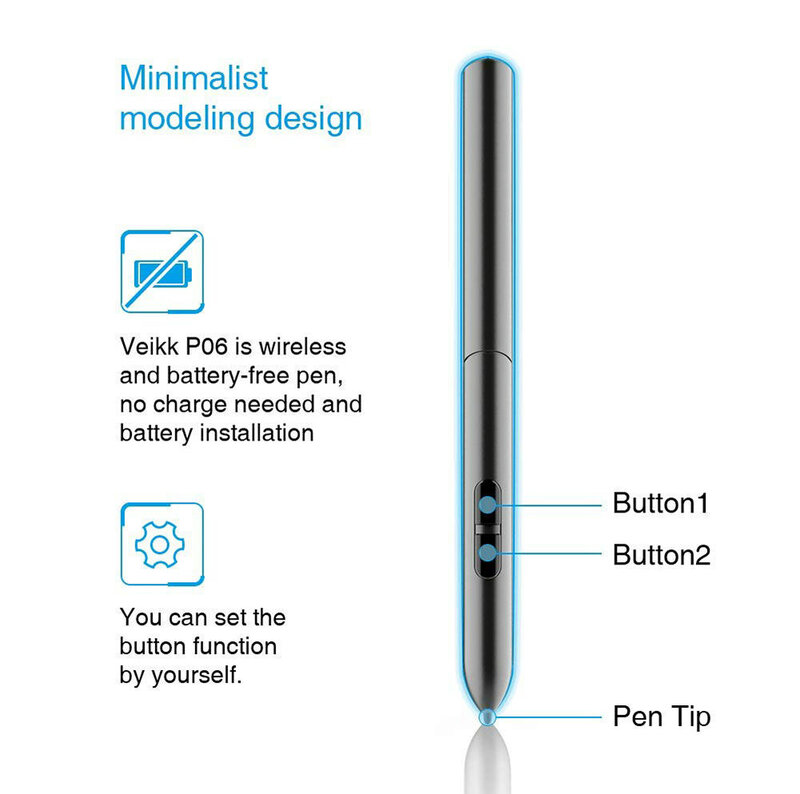 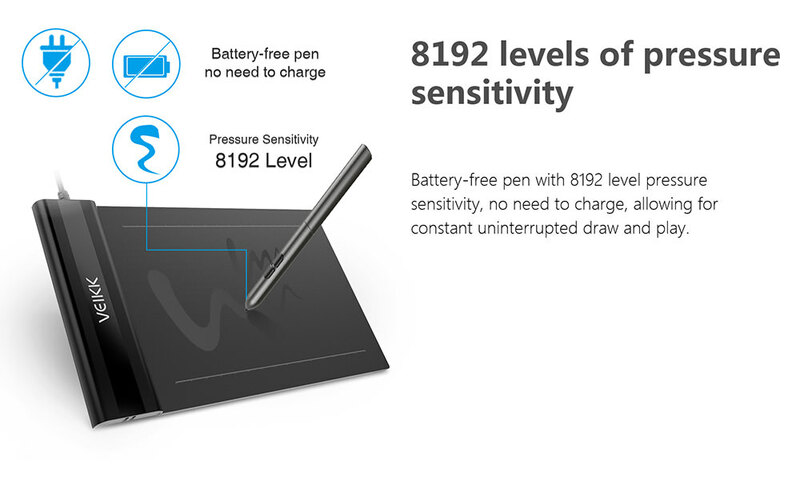 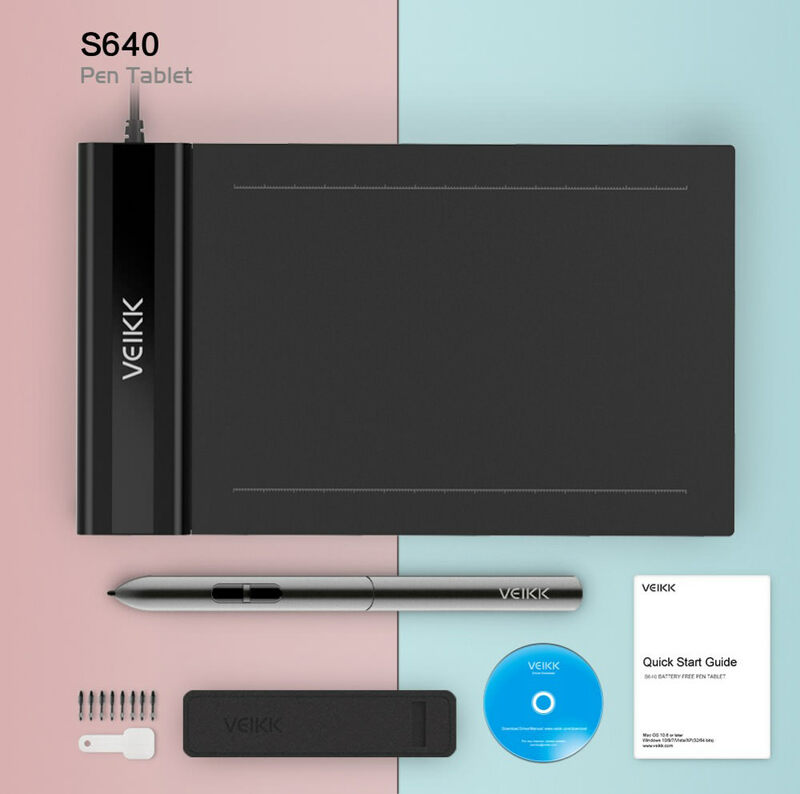 ● Battery-free pen with 8192 level pressure sensitivity, no need to charge, allowing for constant uninterrupted Draw and Play. 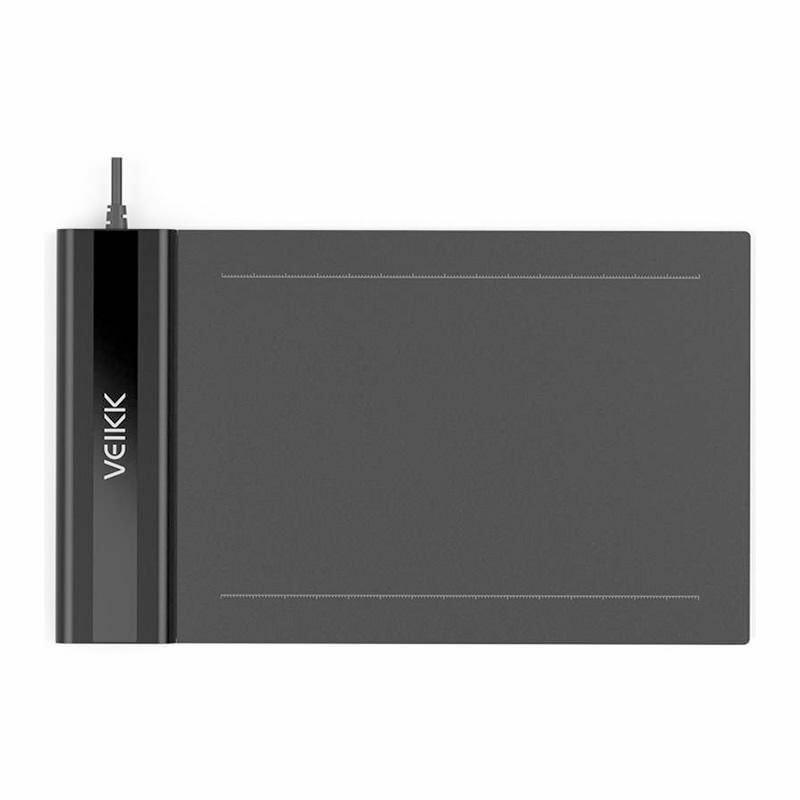 ● 6x4 inch active area, only 2mm thick, easily fits into a laptop case or in a briefcase, convenient to carry it with you on the go. 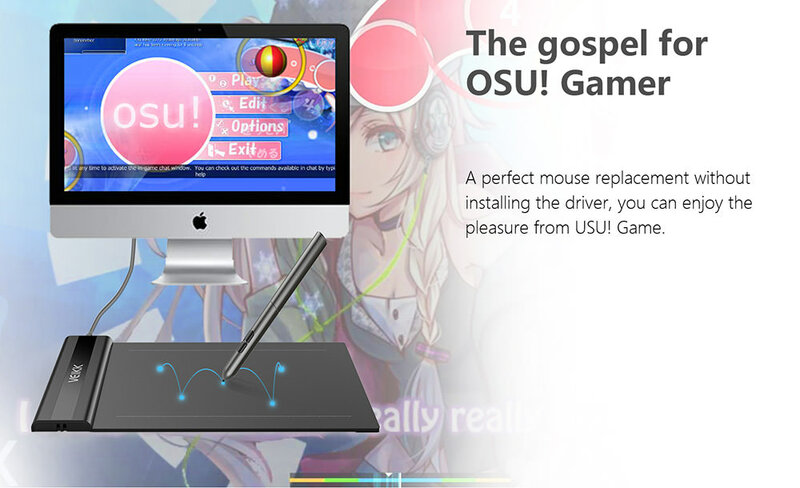 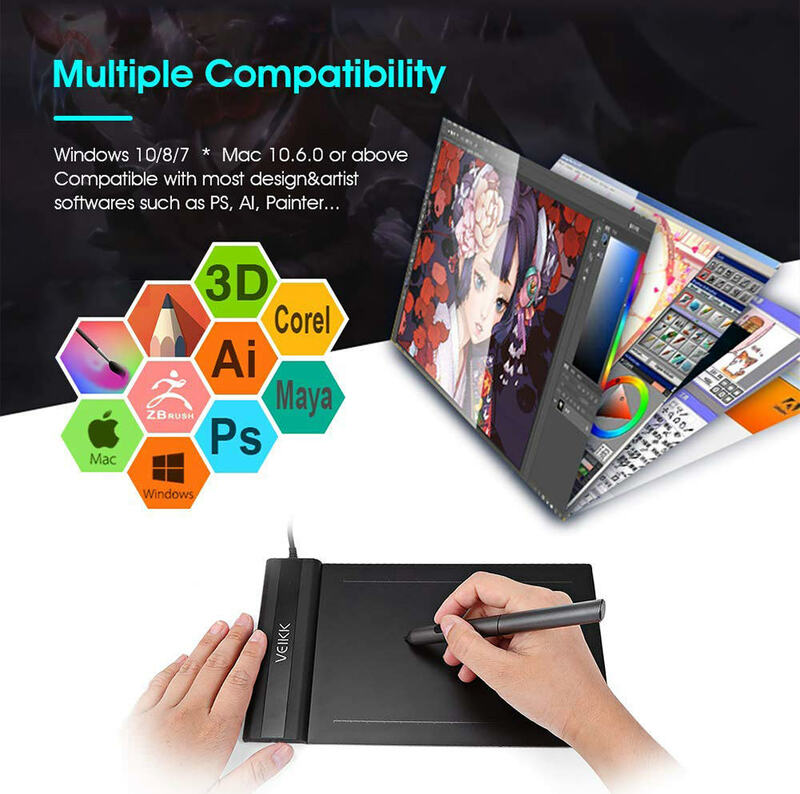 ● Compatible with Windows XP/Vista 10/8/7, Mac 10.8 or above. 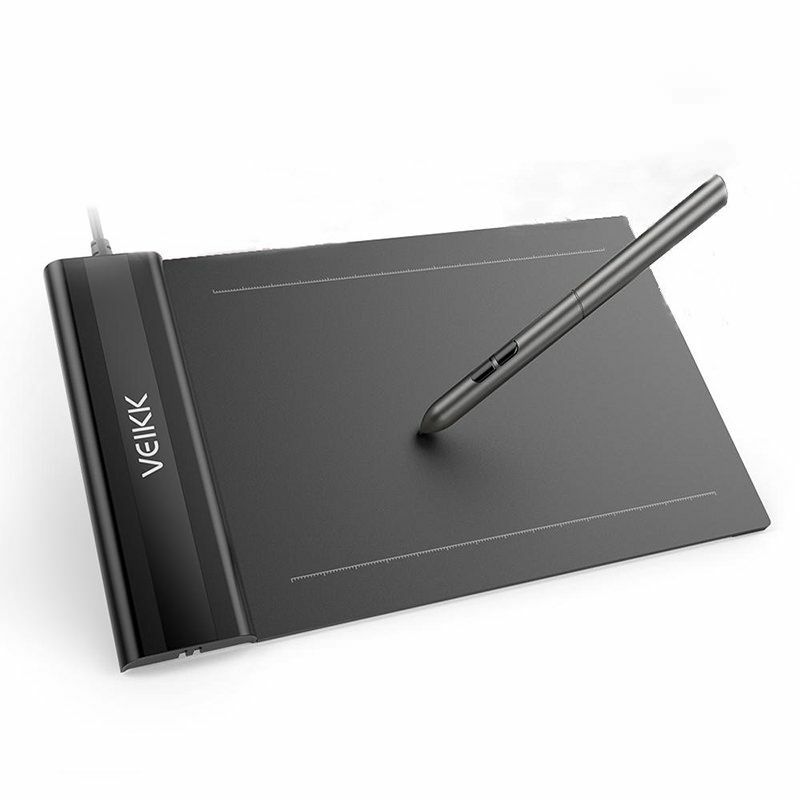 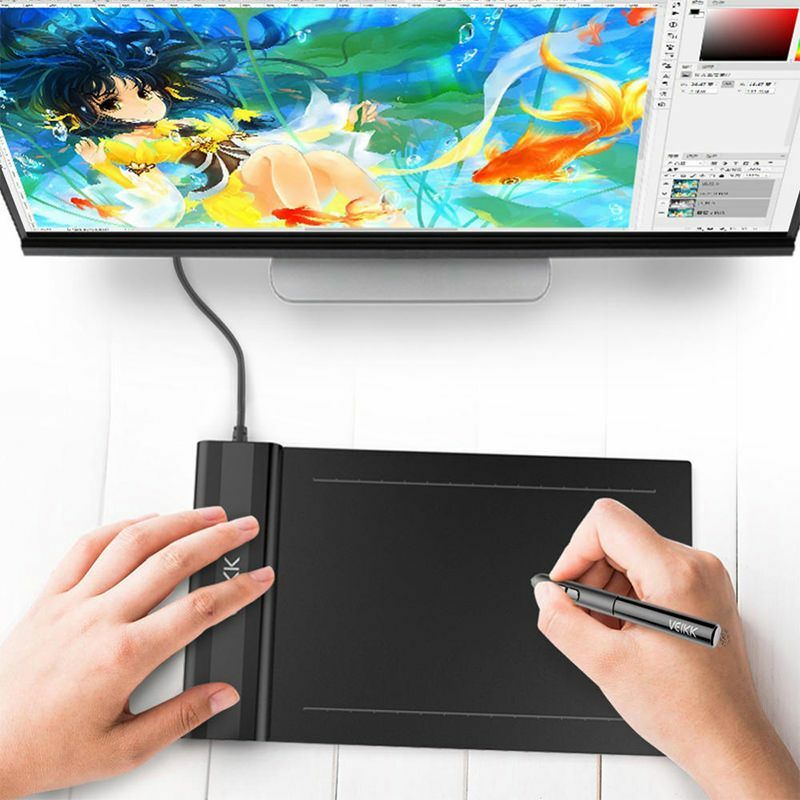 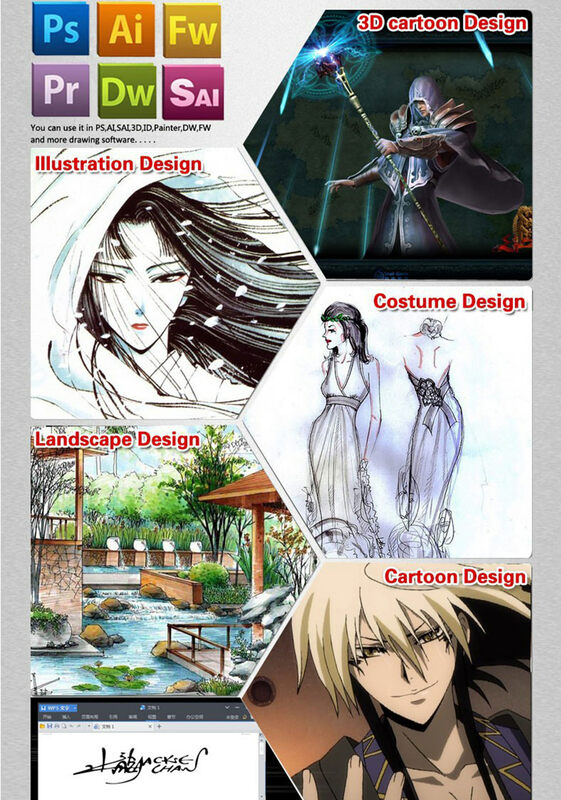 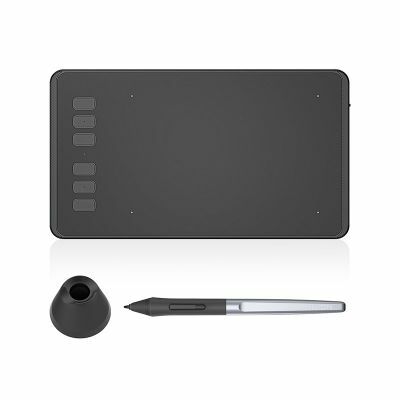 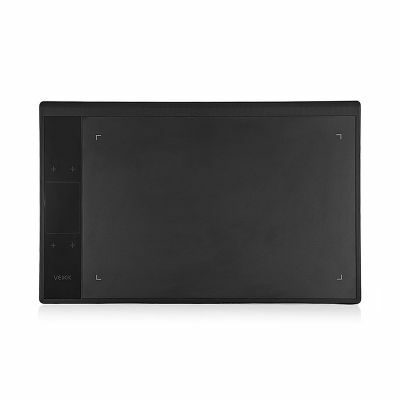 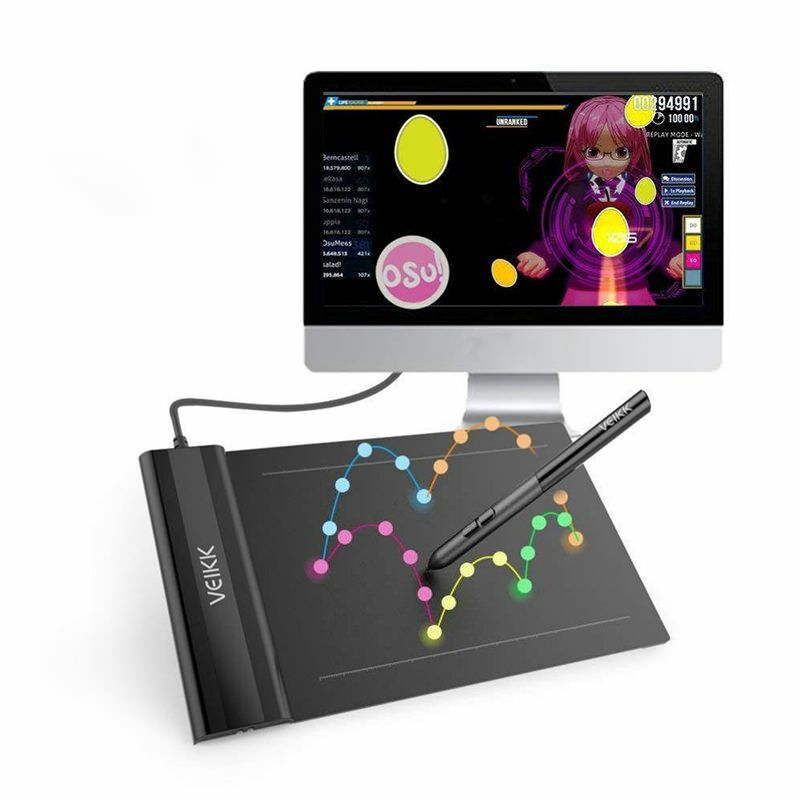 Also can work with many major designer software such as Photoshop, Painter, Illustrator, Clip Studio, and more.